No one should have to put up with leg pain. 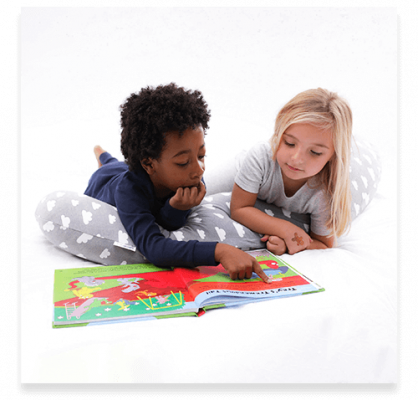 When poor sleep posture is causing or worsening your leg pain at night, the Kally Pillow is here to help you. Our full body leg support pillow supports you in bed, giving you the relief you need. It’s designed to balance your body and deal with some of the key issues that leave you with aching, cramped or painful legs at night. Our ergonomic pillow is designed to offer you the comfort you need to sleep soundly. It’s made using hollowfibre filling that moulds to your body, plus a breathable Jersey cover that’s soft and easy to keep clean. 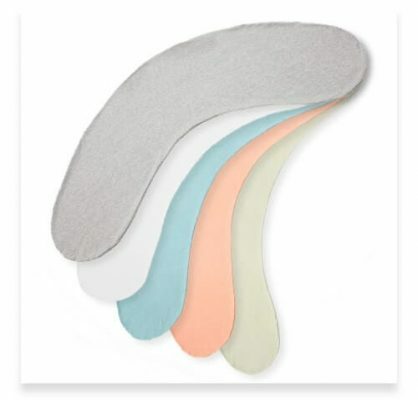 The long shape means you can relieve pressure points and cushion your joints along your whole body using just one pillow. Experiencing leg pain at night can keep you awake or result in poor sleep so that you wake up feeling like you haven’t slept enough. Placing a pillow in between your legs is an excellent solution for anyone who has pain in their legs or hips. It helps to keep your joints in the right position and relieve pressure on your lower back, connected to your hips and legs. But messing about with several pillows can just be frustrating. We worked with Harley Street doctors to create one pillow that supports your whole body, including your legs and hips. 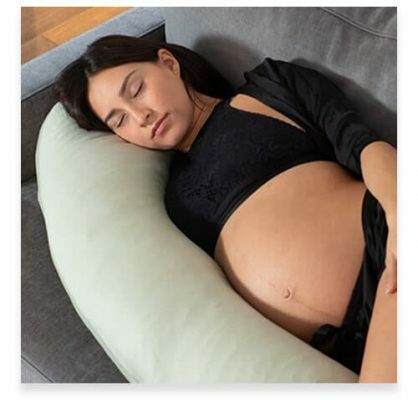 The Kally Pillow shapes itself to fit your body, giving you support for a feeling of weightlessness, improving your sleep posture and relieving leg pain. Why do you get leg pain at night? There are several reasons you might experience leg pain when you’re trying to sleep. Some people suffer from sciatica, an irritation of the sciatic nerve, which runs from your lower back and down your thigh. You might also get leg pain during pregnancy, which could be caused by sciatica or just being on your feet all day. Restless leg syndrome is common for women in pregnancy. You might also get sore legs at night simply from exercising during the day. If you sleep on your side, as more than 70% of people do, it can pull your hips out of alignment with your spine. However, it’s not side sleeping that’s the problem, but sleeping on your side without the right support. This can cause some discomfort in your legs, hips and your lower back too. Even if you don’t feel these problems as you’re falling asleep, you can discover the effect they have when you wake up and feel sore or like you haven’t slept well. The easy way to solve this is with the Kally Pillow. A leg support pillow addresses several of the causes of leg pain at night and helps to ease the symptoms of conditions that cause leg pain. Putting a pillow between your legs aligns your hips and spine, which relieves both leg pain and back pain. The hollowfibre Kally Pillow supports your legs with a firm filling that still has give, designed to adjust to your body. It will leave you feeling weightless by taking the pressure off your joints, your back and your legs. Get yourself a Kally Pillow, and you won’t regret it. But just in case it’s not right for you, we offer a 14-night trial so you can see the difference it makes first. 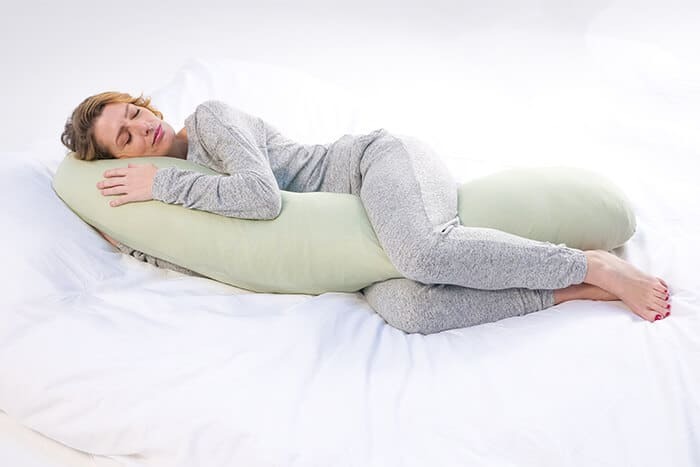 Our side sleeper full body pillow helps you to stay in the best position possible all night so that you’re not kept awake by leg pain or discomfort anywhere else in your body. Order your Kally Pillow today and you can sleep with it by tomorrow with our next-day delivery service. Say no to leg pain at night and start sleeping soundly when you have the support that one of our pillows can give you. Change your sleep forever and completely improve your quality of life when you’re getting more and better sleep.